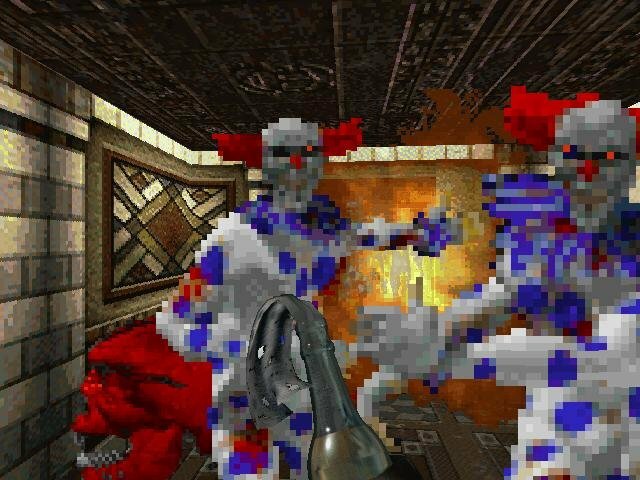 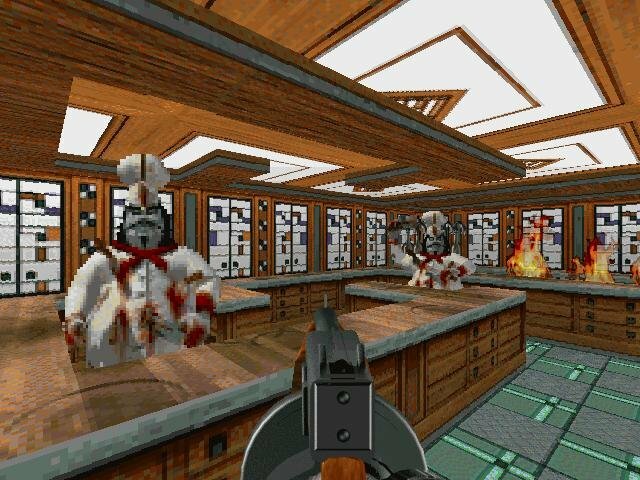 A horror-themed Doom clone with a pulse. 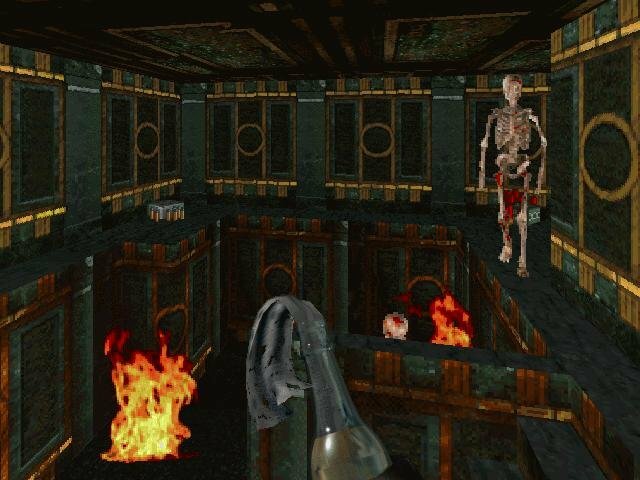 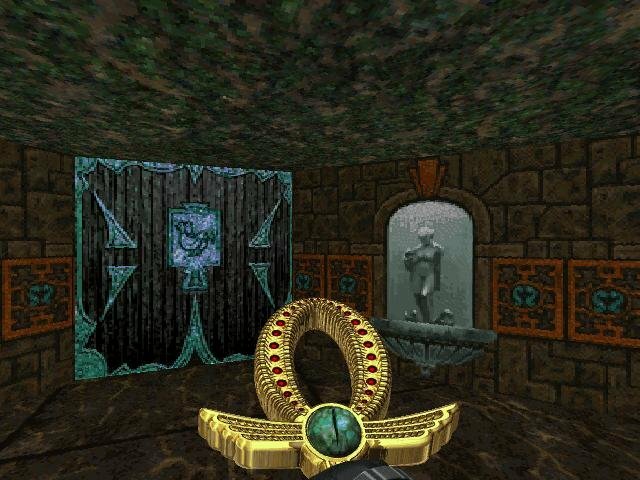 To its credit, Killing Time does offer something that most first-person DOOM clones fail to deliver – storyline and atmosphere. 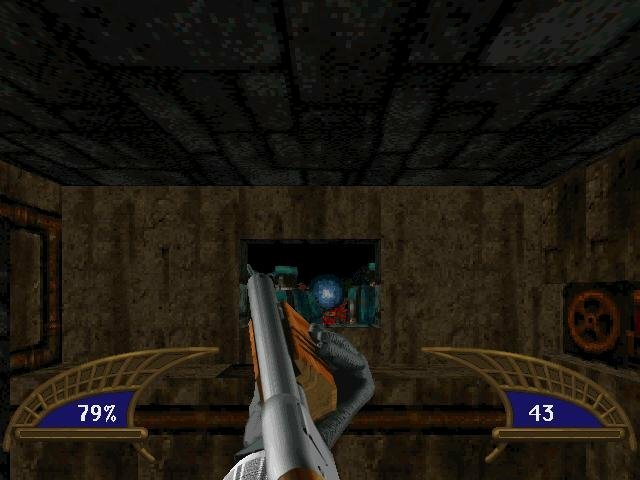 You do a lot of shooting, that’s to be expected, but the point of each level isn’t to find the old exit switch. 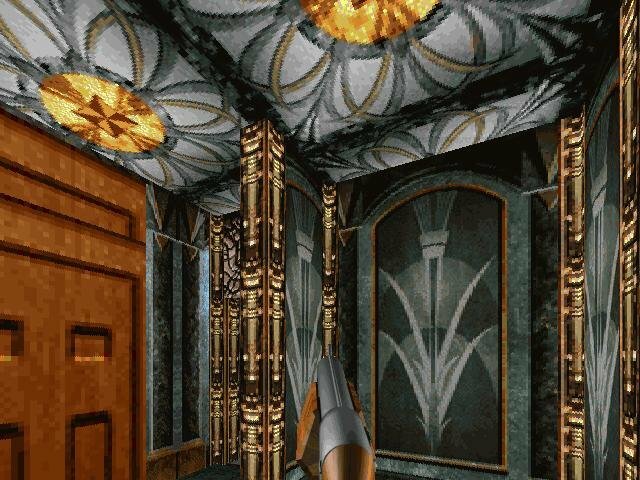 Indeed, you’ll be going back and forth through entire levels looking for keys, artifacts and doors, and the architecture of every single location is excellent. 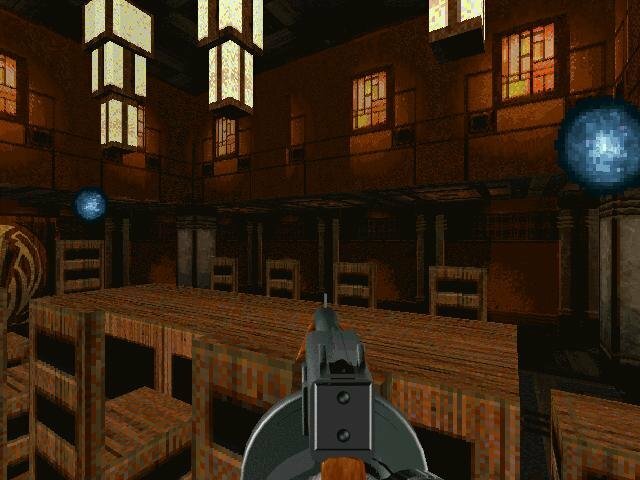 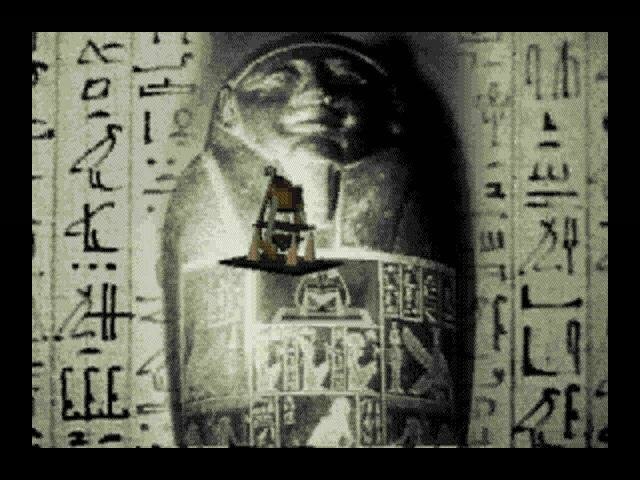 The original game was first released on the 3DO, and for a console port, it doesn’t look (or play) that bad. 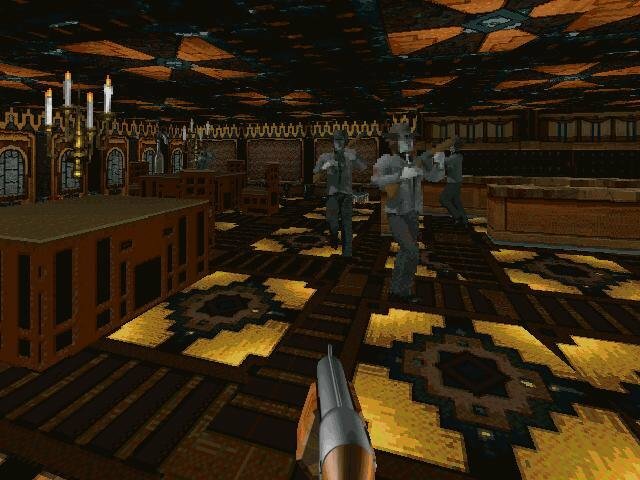 The actual scenery and room graphics look great, giving the creepy old mansion a distinct look. 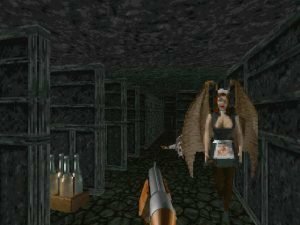 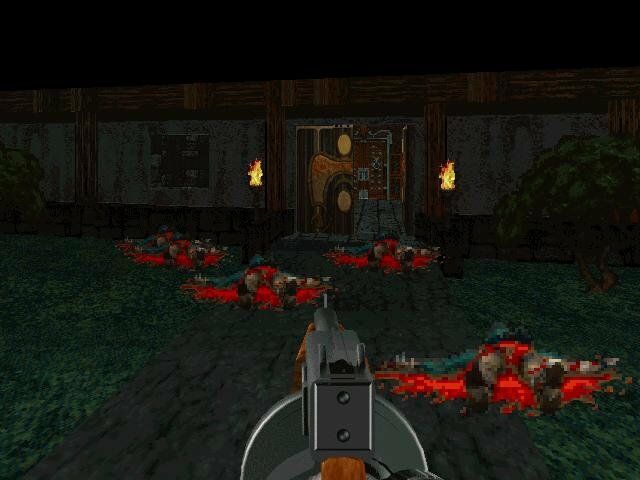 The character graphics and weapon animations, unfortunately, fare rather poorly in comparison, but are on par with older games such as Doom or Heretic. 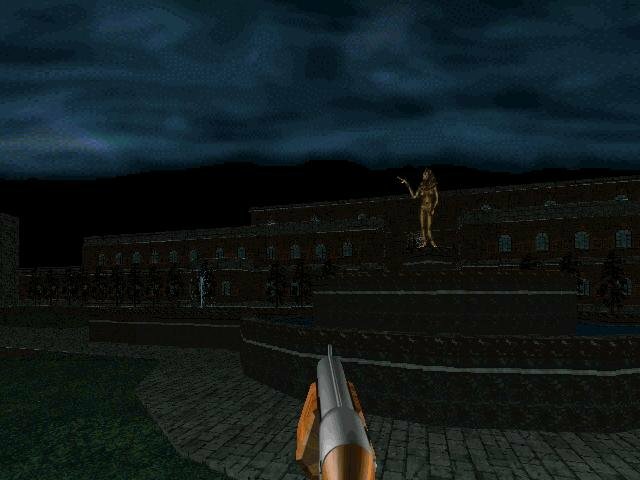 The ingame video sequences are also horribly grainy and suffer from poor framerates, but have passable sound. 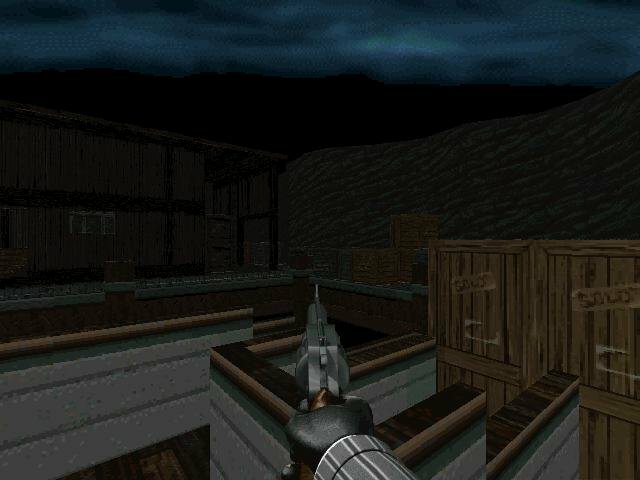 The music tracks and looping ambient sounds are also one of the game’s high points. 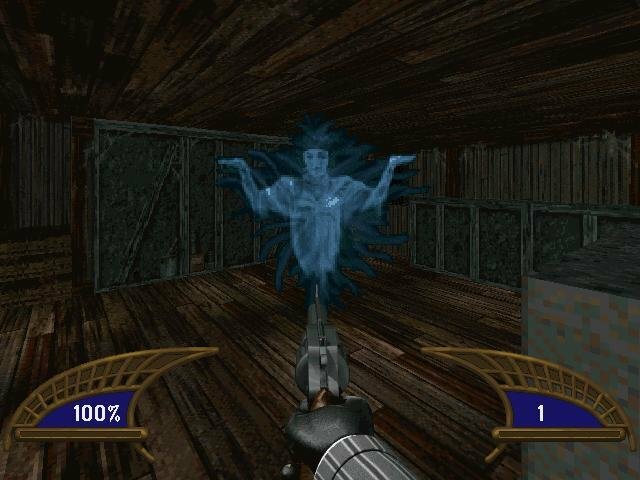 General gameplay veers on the horror side in theme. 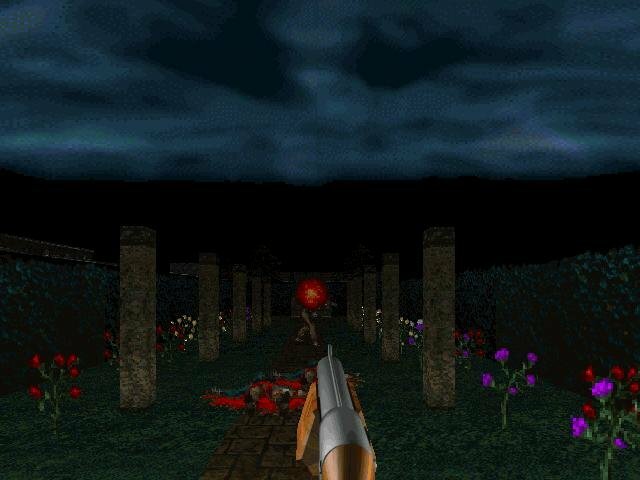 You’ll do a lot of creeping around through barely-lit outdoor gardens and indoor manor rooms. 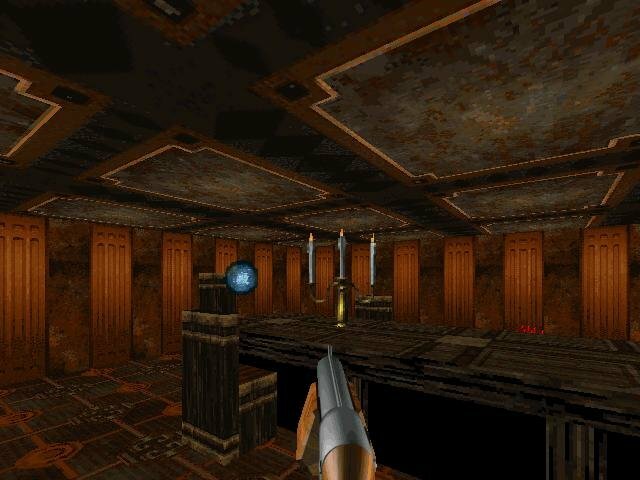 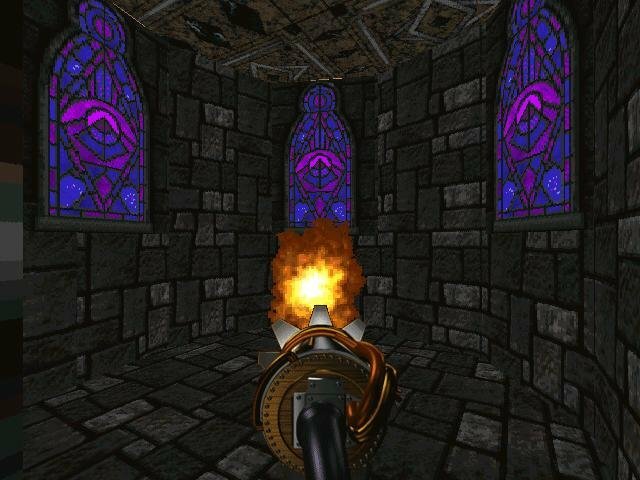 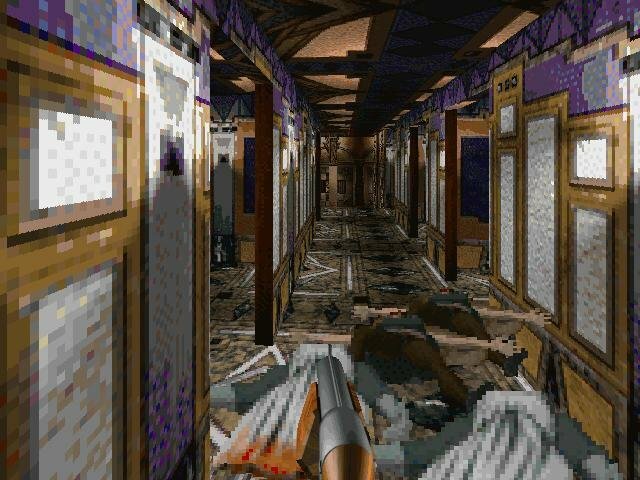 As with Doom, this adds a lot to the atmosphere, since it’s always spooky to walk around in dark rooms crawling with murderous zombies and demons. 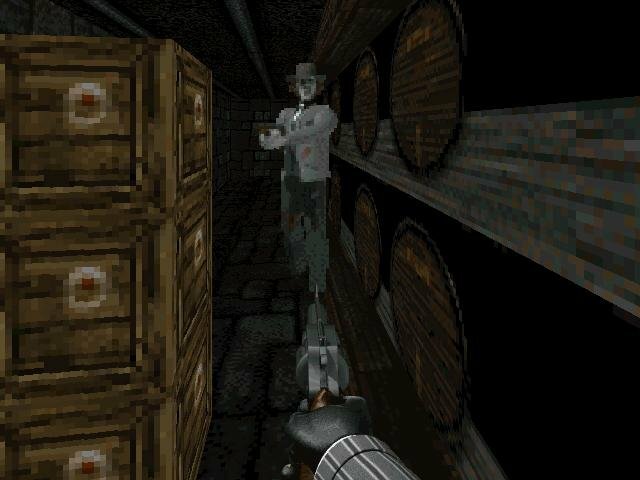 Combat reflects this survival horror approach as well, with ammo that will run dry fast if you keep missing. 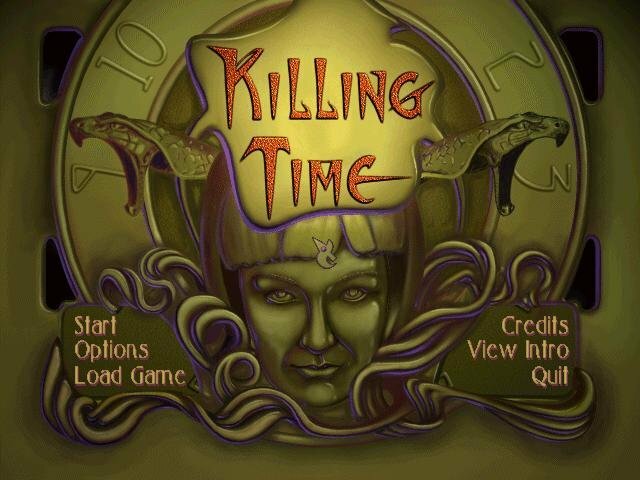 Killing Time is still an entertaining and involving single player-only shooter. 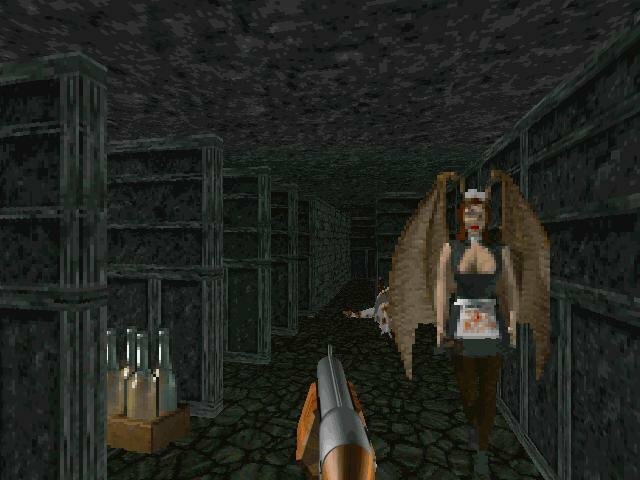 If you can get over the lousy character graphics, there’s enough here to keep you involved through the whole game, though not much more.